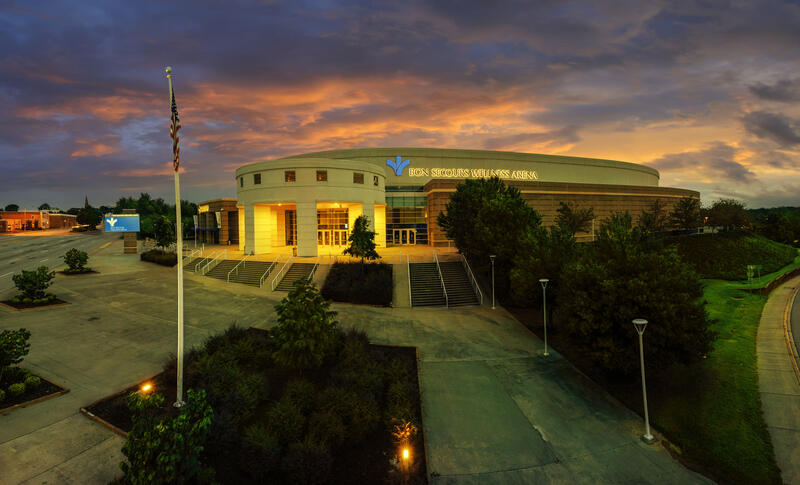 Located in the heart of downtown Greenville, the Bon Secours Wellness Arena is a state of the art, 15,000 seat sports and entertainment arena. 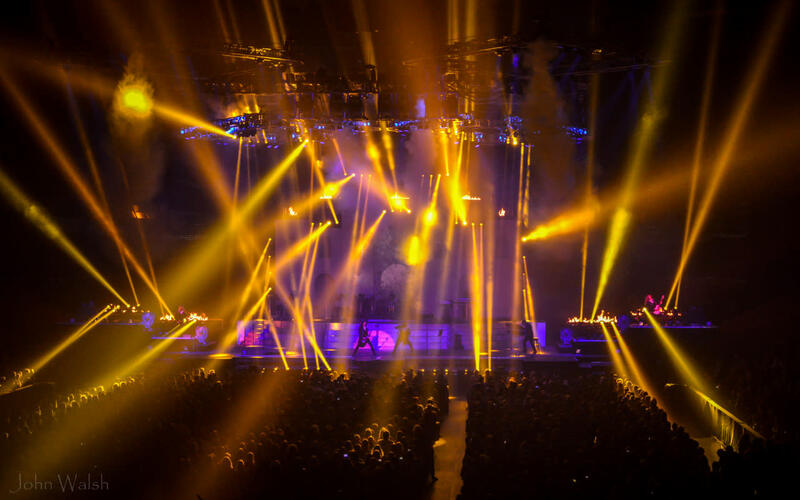 Recognized as one of the top 50 venues in the world, the Arena is the Upstate’s greatest entertainment destination. 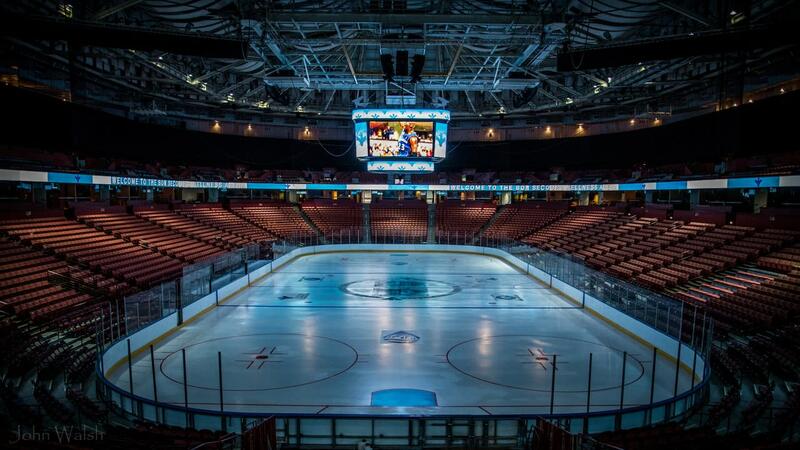 Experience the ultimate atmosphere for concerts, family shows, sporting events, nontraditional performances and corporate and community events at the Bon Secours Wellness Arena. 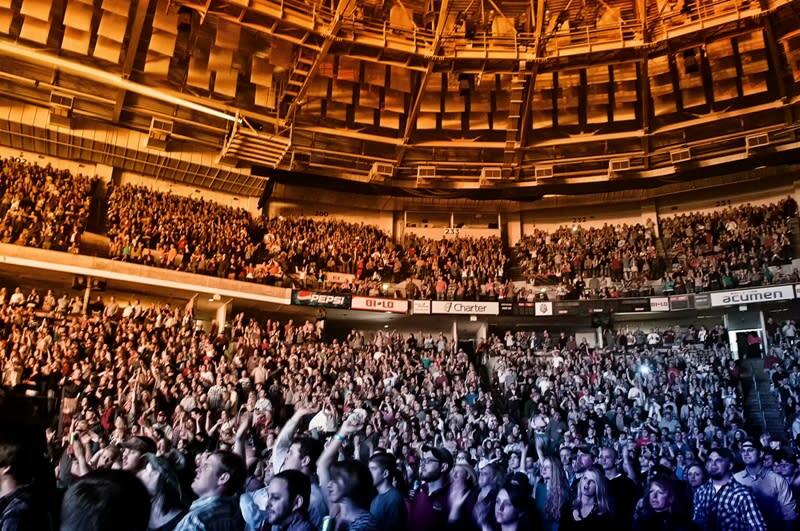 CONCERTS: The Arena hosts some of the greatest artists in the industry. In 2014, we welcomed artists such as Motley Crue, James Taylor, Eric Church, The Black Eyes and more. 2015 promises big names such as Jason Aldean, Elton John, Kenny Chesney and more. 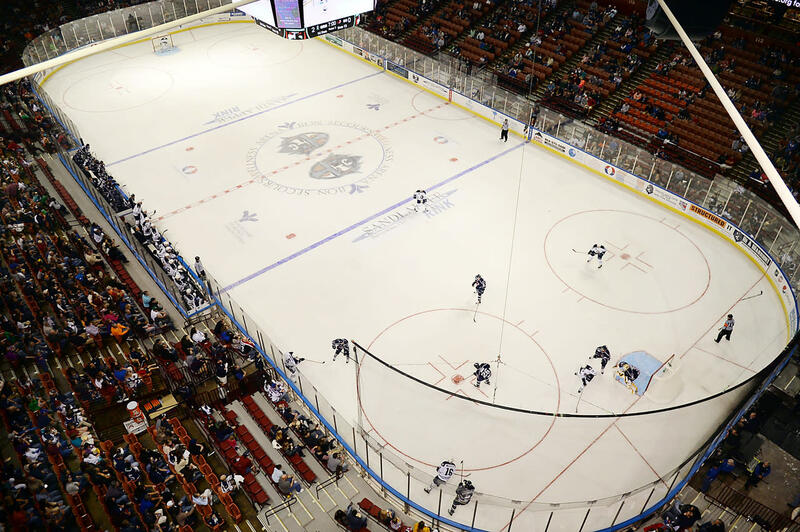 SPORTS: As the home of the Greenville Swamp Rabbits, the Arena is proud to bring hockey to the Upstate. 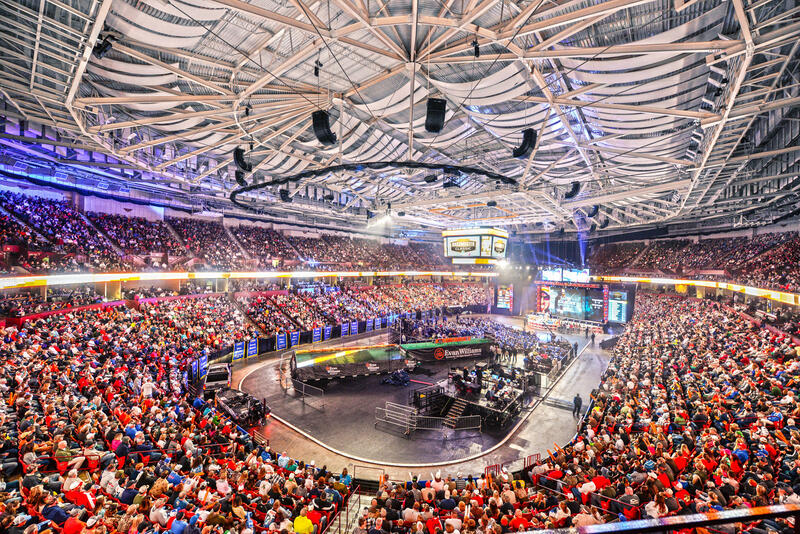 Fans can also enjoy the excitement of World Wrestling Entertainment, Monster Trucks, NBA Basketball and other action packed sports events seen only at the Arena. 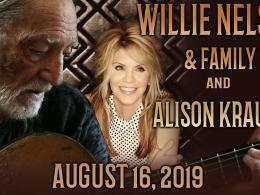 SPECIAL EVENTS: Traditional shows including Disney on Ice, Sesame Street Live, Trans-Siberian Orchestra and the Circus are repeatedly on the lineup for family fun entertainment. 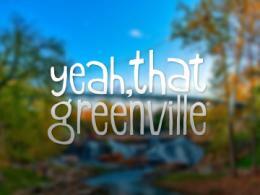 Nontraditional acts such as Jeff Dunham, SC State Cheerleading Championships, Winter Jam and others are offered each year. Recent building renovations make the Arena a highly sought after venue for Corporate Retreats, Church Events, Trade Shows, and Seminars. 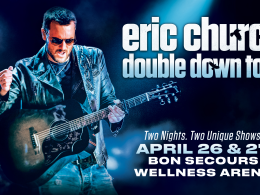 Eric Church’s 2019 Double Down Tour will feature two nights, two unique shows at The Well! 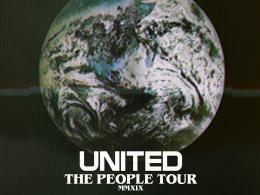 Hillsong United will be performing with special guests Amanda Lindsey Cook and Mack Brock on Monday, May 6, 2019! 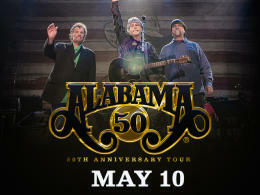 Alabama is performing at The Well with special guest The Charlie Daniels Band on May 10, 2019! 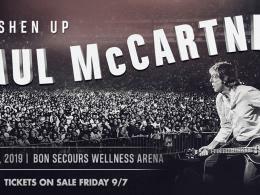 Paul McCartney brings his highly anticipated Freshen Up Tour to The Well on May 30! 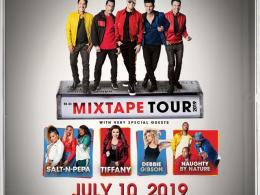 New Kids On The Block is bringing their MixTape Tour featuring an epic lineup of Salt-N-Pepa, Tiffany, Debbie Gibson and Naughty by Nature to The Well on July 10, 2019! 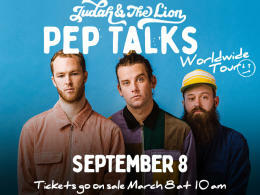 Judah & The Lion are performing live at The Well on Sunday, September 8, 2019! 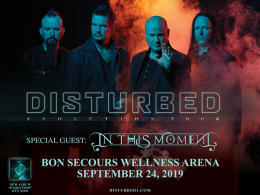 Disturbed is performing live at The Well with special guest In This Moment on Tuesday, September 24, 2019! 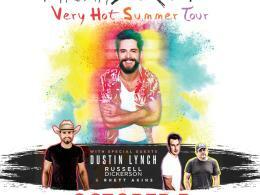 Thomas Rhett is performing live at The Well with special guests Dustin Lynch, Russell Dickerson, and Rhett Akin on Thursday, October 3, 2019! 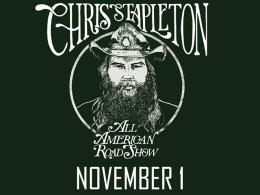 Chris Stapleton is performing live at The Well with special guests Brothers Osborne and Kendall Marvel on Friday, November 1, 2019! 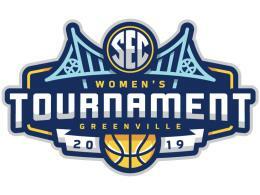 Join us for the Women's Regional Round at Bon Secours Wellness Arena.